This article first appeared in Previews World, March 2015. Yuki Takasou: I work in clothing production. At the moment I am working on “Toho Project”, “Fate/Apocrypha”, “The Fruit of Gurizaya”, and “Mobile Suit Gundam: MSM-07 Zugokku, MS18-E Kenpufah”. In the future, I’d like to try my hand at a personal beautiful girl Gurumi costume, or some type of mech-themed costume. Rumine: I think I am good at taking 2 dimensional designs and turning them into real, functional clothing. My main job is to produce clothing for my brand “Rumine Blossom.” At the moment I’m working on a project for a voice actor I know, who was looking for costumes that can be changed into and out of very quickly for stage productions. I’m also working on some projects for parents and children to Cosplay together, like a mermaid costume that can be photographed underwater. PREVIEWSworld: How long have you been (working with Cosplay)? What titles, companies, and creators have you worked with over your time in (Cosplay)? Yuki Takasou: 20 years now. I was originally drawn to it by a Final Fantasy VII Sephiroth costume I saw in a magazine. I was so impressed that I decided to try my hand at it. Rumine: I started around 16 years ago, when a friend invited me to a smaller, local Cosplay event. At the time FFVII was really popular, so I picked an easy character (Yuffie) and my mom helped me make the costume. PREVIEWSworld: Did you have a mentor or hero in the industry that inspired you to pursue your career? Yuki Takasou: My partner at the 2007 World Cosplay Summit, Dark Knight, who always Cosplays with Mech-type costumes. He really made me think about the function and use of the final design. He made me realize how wonderful and important it is to work with people that have a different aesthetic than your own. Rumine: An upperclassman at the fashion design school I went to. She once turned a pajama pattern into the collar patter for a Sailor outfit, which really impressed me and encouraged me to start studying fashion design on my own. PREVIEWSworld: If you could give advice to any aspiring creators, what would you tell them? 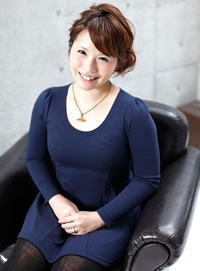 Yuki Takasou: When you are working on Cosplay, it is a wonderful time to find peace, silence, and satisfaction. It’s a time when you can be on your own. It’s very fulfilling. Rumine: We live in a society where it is very easy to just buy what you want, but when you make clothes yourself, you love them more. It’s very satisfying to make something with your own two hands. It’s really fun, so I hope that you try it someday.